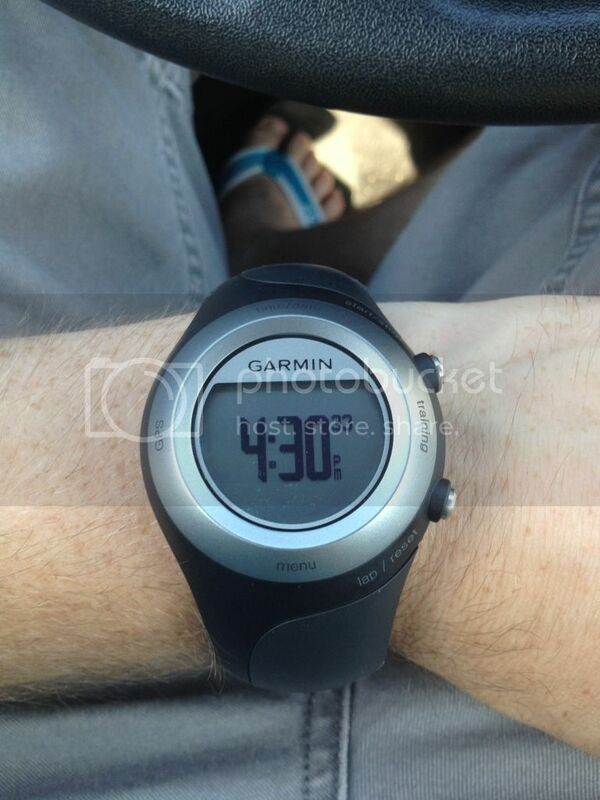 It was almost two years into running when I finally got my Garmin Forerunner 205. I loved being able to keep track of my data and I became obsessed with all of the data. I could tell you the wind speed/direction, elevation change, my splits and even how many miles I had on my shoes. Yes, way more information than any person that isn't getting paid to run would need to know. Anyway, I loved it. I would run every run with it and often would sport it at Disney to measure how far my wife and I would walk when we would venture over for the day. If you ever go to Disney and wonder why you are sore and tired after leaving the park...we averaged nearly 5 miles of walking each time we would go to one of the parks. The other morning I had put some clothes in the dryer and turned it on. I thought the dryer was making a weird noise, but just figured it was a pair of shorts or something that had an attached belt that was banging around in the dryer. It wasn't until I was getting ready to head out for a run that I went to get my running clothes out of the dryer and immediately saw a small LCD screen laying on top. It was then that I knew that either my wife or I's Garmin went through the wash. After sorting through the clothes I found the remains of my former running partner. She was a good watch and she'll be missed, but before the sun had set that day I had another running watch. 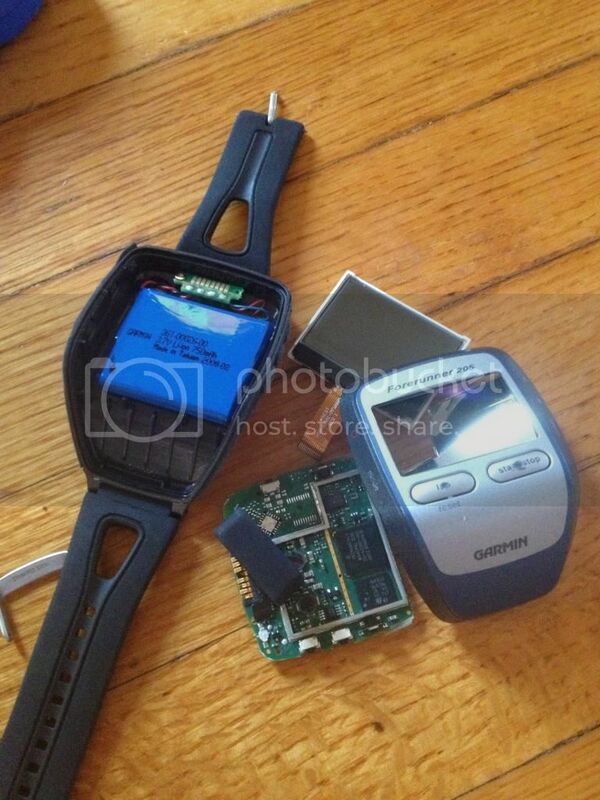 I was lucky enough to have a mom that purchased a Garmin Forerunner 405 and never used it. She got a great deal on it, but never went through with figuring out how to use it. So I'm an extremely lucky man and told her to count it as my birthday present a couple of months early. So say hello to my new best friend! I can't wait to spend a lot more time with her and get use to her and all the newness of her.